This page celebrates Cornell Mathematics Ph.D.s. One very select group of graduate students is formed by those who, after leaving Cornell, were invited to speak at the International Congress of Mathematicians (ICM). The first American mathematics Ph.D. was awarded at Yale in 1862. Ten years later, Cornell granted its first mathematics Ph.D. (and first Ph.D. in any discipline). In 1872, Eddy received the first Ph.D. awarded by Cornell in any subject. He had been an Assistant Professor in Mathematics at Cornell since 1869. He left Cornell in 1873 for an exemplary academic career that took him to the University of Cincinnati, Rose Polytechnic Institute (he served as president at both institutions) and the University of Minnesota where he retired in 1912. He was one of the invited speakers at the 1893 Chicago Congress of Mathematicians at the World's Columbian Exposition where he spoke on "Modern Graphical Methods". Messenger wrote a dissertation titled "Modern Methods in Geometric Conics" under J. Oliver. He received the second Mathematics Ph.D. awarded at Cornell, 14 years after Eddy, and was Oliver's first graduate student. 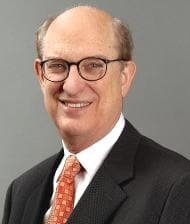 After serving as Adjunct Professor at NYU (then, University of the City of New York) for several years, he became an actuary and a Cornell Trustee. The Messenger Lectures are named after him. Harris' dissertation was on "The Theory of Images in the Representation of Functions". It was, most probably, supervised by James McMahon. After graduating, he was a fellow at the newly created Clark University. 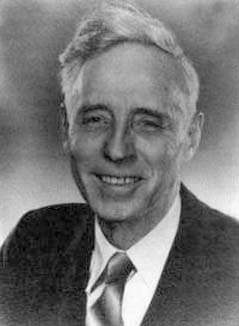 Harris had an illustrious career in the Tidal Division of the US Coast and Geodesic Survey, and at the time of his death (1918) he was considered one of the world experts in tidal theory. His work was theoretical, experimental and computational. He was one of the two designers of “Old Brass Brains”, the Tide Predicting Machine No. 2 that was in constant used from 1910 to 1960 by the National Oceanographic and Atmospheric Administration (NOAA). Harris published mathematical articles and his work on tidal theory was featured in J. McMahon's 1902 address to the Association for the Advancement of Science as a significant example of application of mathematics. Metclaf received a Ph.B. at Boston University in 1886 with a thesis titled "The Origin and Development of Styles in Architecture". She is only the second American women to obtain a Ph.D. in mathematics (and the first at Cornell). Her dissertation was titled "Geometric Duality in Space" and was supervised by James Oliver. She taught mathematics before and after her Ph.D., including at the newly opened Bryn Mawr School in 1891 after earning a Master at Cornell in 1889. She worked as a teacher and also as a security analyst until 1910 when she entered the civil service in New York City. She worked in the office of the Controller of New York City as a statistician until her retirement in 1921. Baxter’s dissertation, "On Abelian integrals, a resume of Neumann’s ‘Abelsche Integrele’ with comments and applications", was the sixth and last supervised by J. Oliver. Following Oliver’s death in 1895, she edited his mathematical notes. Baxter is the second Canadian Women to receive a mathematics Ph.D. and the third women to receive a Ph.D. at Cornell under James Oliver. Oliver's death in 1895 was a blow to the Cornell graduate program and led to a six year gap during which no Ph.D.s were awarded. George A. Miller and V. Snyder were the first to advise graduate students after Oliver's death. Fite was an undergraduate at Cornell and stayed as a graduate student. His dissertation, "On Metabelian Groups", was supervised by George Miller. He is the first Cornell Ph.D. of the post Oliver period. He published research papers throughout is successful career. He stayed at Cornell as Assistant Professor before moving to Columbia in 1911. He became Professor and stayed at Columbia until his retirement in 1942 as the Davies Professor of Mathematics Emeritus. 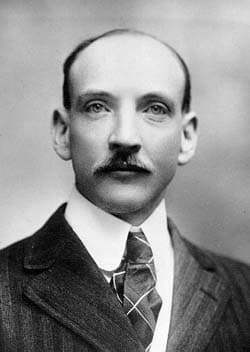 He succeeded Cornell faculty member John Henry Tanner as Treasurer for the American Mathematical Society and served in this role from 1921 to 1929. Rietz is another one of G. Miller’s graduate students and his dissertation was titled "On primitive groups of odd orders". After several years at the University of Illinois, where he developed an interest for Actuarial Science and Mathematical Statistics, Rietz joined the University of Iowa, where he remained for the rest of his career. There he played an important role in the development of Mathematical Statistics, training several generations of American statisticians. Thanks in part to his student Samuel Wilks, later Professor at Princeton, Rietz is credited by the Mathematics Genealogy Project with over a thousand academic descendants, a record among Cornell Mathematics Ph.D.s. He served as president of the Mathematical Association of America and of the Institute for Mathematical Statistics. Moore’s dissertation was on the "Classification of the Surfaces of Singularities of the Quadratic Spherical Complex". He is the second of the forty-three graduate students advised by V. Snyder at Cornell. Moore became Professor at the Massachusetts Institute of Technology. He was a fellow of the American Academy of Arts and Sciences. His name is attached to one of the most prestigious junior positions that a promising mathematician can hold, the C.L.E. Moore instructorships offered by the Department of Mathematics at MIT. The position was created in 1948 and the former recipients include Nobel Prize winner John Nash and Fields medalists Daniel Quillen, Paul Cohen and Curt McMullen. Young's dissertation is titled "On the group of the sign (0, 3, 2, 4, ∞) and the functions belonging to it". His advisor was John I. Hutchinson although he had worked earlier under George Miller (Miller left Cornell in 1901). Young collaborated with O. Veblen on the book "Projective Geometry". He spent most of his career at Dartmouth where he served as Head and, later, Chair. Dartmouth's postdoctoral Instructorships in mathematics are named after him. He served as president of the Mathematical Association of America. Sisam's dissertation was on the "Classification of Scrolls of Order Seven Having a Rectilinear Directrix" and was supervised by V. Snyder. Sisam went to postdoctoral studies at Göttingen and Turin and spend most of his career as Chair of Mathematics at Colorado College. He was an invited speaker at the 1924 and 1928 International Congress of Mathematicians in Toronto and Bologna, becoming - with H. Rietz - the first Cornell Ph.D. to be invited to speak at an ICM. Sharpe studied at Cambridge (Christ’s College) before moving to Canada and the United States. At Cambridge, he was Second Wrangler in 1892. He wrote his dissertation under John McMahon on "The General Circulation of The Atmosphere". He stayed at Cornell for his entire career, becoming a close collaborator of V. Snyder. He served as Chair of the department from 1923 to 1926. He is the first of two Cornell Ph.D.s who served as Chair of the department. Van Benschoten received both her B.S. and Ph.D. at Cornell, writing a dissertation on "The Birational Transformation of Algebraic Curves of Genus Four" under V. Snyder. She also studied at Chicago (M.S.) and Göttingen, before working as Professor of Mathematics at Wells College from 1901 to 1920. She was a charter member of the Mathematical Association of America. She is the first women graduate of the post-Oliver period and the first of the thirteen women who received a Ph.D. under V. Snyder at Cornell. Owens' dissertation, "Conjugate line congruences of the third order defined by a family of quadrics", was supervised by V. Snyder. After receiving her Ph.D., she served as Instructor in Mathematics at Cornell (1917-1922). She is the first women to have been appointed as Instructor in the department. Her husband, Frederick, was on the Cornell faculty until he became Head of Mathematics at Pennsylvania State University in 1926. 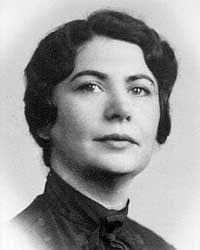 She served as associate editor of the American Mathematical Monthly and taught at Pennsylvania State University between 1941 and 1949. She was very active in the battle for women's suffrage. Burgess wrote his dissertation, "The Uniform Motion of a Sphere Through a Viscous Liquid," under F. Sharpe. 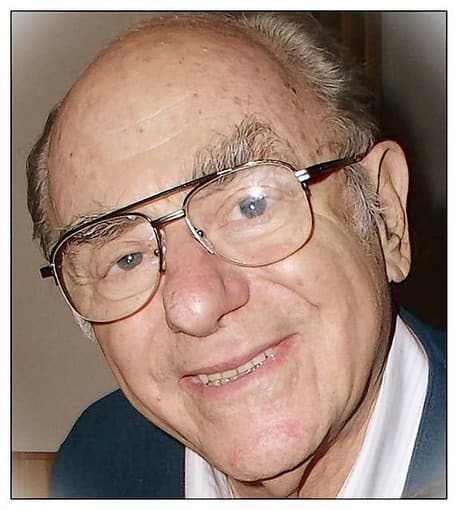 He taught mathematics at Purdue, Cornell and Brown Universities. During World War I, Burgess served in the Army, advancing to the rank of major; he also served in the statistics branch of the Army General Staff in Washington. After the war, he worked for Western Electric Company, 1924-1952, and served as Director of U.S. Census Bureau, 1953-1961. Hollcroft wrote his dissertation, "A Classification of General (2,3) Point Correspondences Between Two Planes", under V. Snyder. He was Professor of Mathematics at Wells College for 36 years starting in 1918 and was named Historian of Wells College in 1953. He was an invited speaker at the 1932 International Congress of Mathematicians, in Zurich. V. Snyder supervised over forty dissertations during his career. The next most prolific graduate advisor of this period was W.A. Hurwitz. Dale’s dissertation, "Some Properties of the Exponential Mean", was supervised by W.A. Hurwitz. She taught at Mississippi State College for Women in Columbus, Mississippi, the University of Oklahoma, and Delta State College in Cleveland, Mississippi, before taking a position at Duke University in 1930. The Julia Dale Award is a cash prize awarded annually by the Department of Mathematics at Duke to a mathematics major (or majors) on the basis of excellence in mathematics. See Duke's website for more information. Cox is known as the first African-American (perhaps the first person of African descent in the world) to receive a Ph.D. in mathematics. After undergraduate studies at Indiana University, Cox was awarded an Erastus Brooks Fellowship in September 1922, and he enrolled in Cornell University. His dissertation, "Polynomial Solutions of Difference Equations", was supervised by Lloyd Garrison Williams, a Canadian Mathematician who earned his Ph.D. at and taught at Cornell before moving to McGill in 1924, a year before Cox graduation. In September, 1925, Cox took a position at West Virginia State College. In 1929, he moved to Howard University where he served as Chair of the Department of Mathematics from 1957 to 1961. He retired in 1965. Mears’ dissertation, "A Special Function of One Variable", was supervised by W.A. Hurwitz. Mears taught at the Women’s College of Alabama and Pennsylvania State College before joining George Washington University in 1929 and becoming Full Professor in 1944. She was a star teacher and an active mathematician, supervising many master's theses and two Ph.D.s at George Washington University. Jeffery’s dissertation, "The Uniform Approximation of a Sequence of Integrals and the Sequence of Functions Which Define a Definite Integral Containing a Parameter", was supervised by D.C. Gillespie. At the time, he was on leave from Acadia University, where he stayed until moving to Queen's University, Kingston, Ontario, in 1942. The Building housing the Department of Mathematics and Statistics at Queen’s University is called Jeffery Hall in his honor. He served as president of Royal Society of Canada and of the Canadian Mathematical Society. The Jeffery–Williams Prize is a mathematics award presented annually by the Canadian Mathematical Society and is named after Ralph Jefferey and Lloyd Williams. The award is presented to individuals in recognition of outstanding contributions to mathematical research. Agnew’s dissertation, "The Behavior of Bounds and Oscillations of Sequences of Functions Under Regular Transformations", was supervised by W.A. Hurwitz. After working at Cincinnati, Brown and Princeton as a National Research Fellow, he spent the rest of his career at Cornell, serving as Chair of the Department from 1940 to 1950. He is often credited for bringing Mark Kac and William Feller to Cornell. In his auto-biography, Kac writes “During his ten years as chairman, Ag, as he is called by his friends, brought about at times, at considerable personal sacrifice, changes in outlook and attitude which prepared the way for the mathematics department to become one of the leading departments in the country. Ag was a very good mathematician and a superb administrator”. Torrance’s dissertation, "On plane Cremona triadic characteristics", was supervised by V. Snyder. He taught at Case Western and became Professor of Mathematics and Mechanics at the Naval Postgraduate School. He co-authored a book titled "Functional Analysis" with J. Von Neumann and R. S. Martin, and was an invited speaker at the 1936 International Congress of Mathematicians in Oslo. In 1934, Torrance married Esther Mc Cormick, who had received her Master in Mathematics at Cornell in 1932 and obtained her Ph.D. at Brown in 1939 under J.D. Tamarkin. Cameron’s dissertation, "Almost Periodic Transformations", was supervised by W.A. Hurwitz. He received a National Research Council Fellowship which he used to spend two years at the Institute of Advanced Study before spending the next ten years at M.I.T. (1935-1945). He then moved to the University of Minnesota for the rest of his career. He received the Chauvenet Prize in 1944. His named is attached to the Cameron-Martin space, a fundamental notion in the theory of Wiener space. His doctoral students include Monroe Donsker and the Mathematics Genealogy Project credits him with over 180 academic descendants. Blanch’s dissertation, "Properties of the Veneroni Transformation in S(4)", was supervised by V. Snyder. Blanch taught at Hunter College before becoming a pioneer in numerical analysis and computation as the technical director of the Mathematical Tables Project in New York City. She was elected a Fellow in the American Association for the Advancement of Science in 1962 and was given the Federal Woman's Award from President Lyndon Johnson in 1964. Randolph’s dissertation, "Carathéodory Measure and a Generalization of the Gauss-Green Lemma", was supervised D.C. Gillespie. He taught at Cornell and later served as Chair of Mathematics at the University of Rochester. He taught at R.I.T. after his retirement. He co-authored the book "Analytic Geometry and Calculus" with Mark Kac. 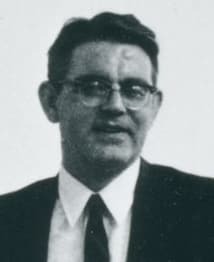 McDaniel’s dissertation, "Approximation to Algebraic Numbers by Means of Periodic Sequences of Transformations on Quadratic Forms", was supervised by B.W. Jones. 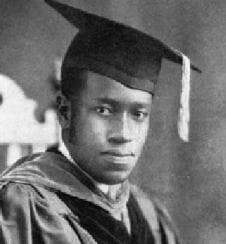 McDaniel was the second African-American to receive his Ph.D. in Mathematics from Cornell. Before and after his Ph.D., he taught at Virginia State College, where he also served as Chair of Mathematics and Director of the School of Arts and Sciences. Many talented mathematicians graduated from Cornell during this period of rapid expansion. Thomas wrote his thesis, "Regular Ternary Quadratic Forms", under B.W. Jones, and spent the bulk of his career at Professor at M.I.T. In 1951 he authored "Calculus and Analytic Geometry", published by Addison-Wesley. The book - now titled "Thomas' Calculus" - is a prolific staple of introductory calculus courses and it is currently in its 13th edition. It is used at Cornell to teach the first two semesters of Calculus, Math 1110 and 1120. Wray’s dissertation, "Some Applications of Uniformity Trials", was supervised by J. H. Curtiss. He took a position at Williams College (where another Cornell Ph.D., D. Richmond, was Chair). However, on June 8, 1942, Wray was sworn in as a civilian junior cryptanalyst with the Navy. After the war, he worked for the newly created Armed Forces Security Agency, which later became the National Security Agency. His services were recognized posthumously by The Exceptional Civilian Service Award and a road at Fort Meade is named after him. Dolciani’s dissertation, "On the Representation of Integers by Quadratic Form", was supervised by B.W. Jones. She taught at Vassar College for seven years and in 1955, joined the faculty at her alma mater, Hunter College, City University of New York, where she taught for over thirty years. During that time she also served as Chair of the Department of Mathematics and as Provost. She was Dean for Academic Development at The City University of New York. She developed the first multi-media mathematics learning laboratory in the City University system, directed National Science Foundation Institutes, served on the U.S. Commission on Mathematical Instruction, and was a member of the Board of Governors of the Mathematical Association of America. The Association's headquarters building in Washington D.C. is named The Dolciani Mathematical Center in her honor. Reiner’s dissertation, "A Generalization of Meyer’s Theorem", was supervised by B.W. Jones. He became professor at the University of Illinois. He made many contributions to representation theory and co-authored, with Charles W Curtis, the book Representation theory of finite groups and associative algebras. He has 18 Ph.D. students and over 70 mathematical descendants. His wife, Irma Ruth Moses, received her Ph.D. in 1946, also under B.W. Jones. Rosenblatt’s dissertation, "On Distributions of Certain Weiner Functionals", was supervised by M. Kac. He worked at Brown, Indiana University and the University of California San Diego where he is Professor Emeritus. He supervised over 20 Ph.D. students and has over one hundred academic descendants. He is a fellow of the Institute of Mathematical Statistics, of the American Association for the Advancement of Science and of the American Mathematical Society. In 1984, he became the first Cornell Mathematics Ph.D. to be elected a member of the National Academy of Sciences. Elliott’s dissertation, "On Some Singular Integral Equations of the Cauchy Type", was supervised by H. Pollard. She is Professor Emerita at Rutgers. She served as Chair at Rutgers’ Douglass College 1974-77 and has at least 23 mathematical descendants. Orey’s dissertation, "Formal Development of Ordinal Number Theory and Applications to Consistency Proofs", was supervised by J.B. Rosser. He became Professor at the University of Minnesota. He did significant work in logic and probability. Ray’s dissertation, "On Spectra of Second Order Differential Operators", was supervised by M. Kac. Ray taught at Cornell before becoming Professor of Mathematics at M.I.T. The Ray-Knight Theorems concerning the Brownian local time are named after him and Frank Knight for their independent seminal work on the subject. In joint work with I. M. Singer, he introduced the notion of analytic (or Ray-Singer) torsion in Riemannian geometry. Meyer’s dissertation, "Classification of Mappings of a Three-Dimensional Complex into a Two-Dimensional Projective Space", was supervised by P. Olum. He became Professor and Chair of Mathematics at The Johns Hopkins University. The story of his family's escape from occupied France inspired an award-winning children's novel, "Black Radishes," that was written by his sister, Susan Lynn Meyer,and published by Random House in 2010. Cross (who later changed his name to Abdulalim A. Shabazz) wrote a dissertation under M. Kac. 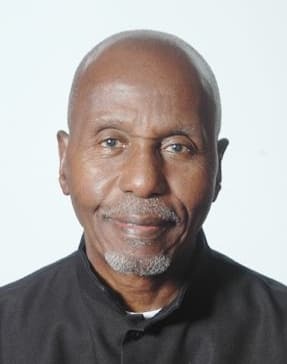 He taught at several institutions including Tuskegee University, Clark Atlanta University, The Lincoln University where he served as Chair of Mathematics and Computer Sciences and Grambling State University where he was Distinguished Professor of Mathematics. In 2000, he received the Presidential Award for Excellence in Science, Mathematics and Engineering Mentoring. Blumenthal’s dissertation, "An Extended Markov Property", was supervised by G. Hunt and contains what is now known as Blumenthal Zero-One Law. He shared with Hunt a passion for tennis. He spend his entire career at the University of Washington where he became Professor and served as Chair of the Mathematics Department. He co-authored by R.K. Getoor the influential book "Markov Processes and Potential Theory". Margalis’ dissertation, "A Problem of Rosser and Trucquette in Many Valued Logic", was supervised by I.L. Gal. He was teaching at Oberlin while obtaining his Ph.D. at Cornell, and later became Professor at The Ohio State University and taught at Rhodes College in Memphis. He is the author of First Order Logic, a Dover Books on Mathematics. He is the first Cornell mathematics graduate student whose Ph.D. was supervised by a female faculty member, Associate Professor Isle Gal. Sacks’ dissertation, "Asymptotic Distributions of Stochastic Approximation Procedures", was supervised by J. Kiefer. 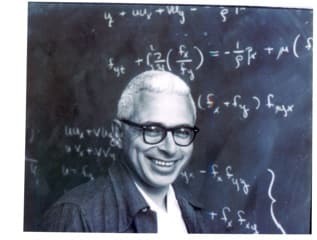 A Cornell undergraduate, Sacks taught at Columbia and Cornell and became Professor of Mathematics at Northwestern University and Professor of Statistics at Rutgers and at the University of Illinois at Urbana Champaign, where he served at Head of the Department of Statistics. He became Director of the National Institute of Statistical Sciences, 1991-2000 and is now Director Emeritus. He is a fellow of the Institute of Mathematical Statistics and of the American Statistical Association. De Branges’ dissertation, "Local Operators on Fourier Transforms", was supervised by H. Pollard. After two years at the Institute of Advanced Studies and two more years at the Courant Institute, de Branges took a position at Purdue University where he is Edward C. Elliott Distinguished Professor of Mathematics. De Branges is famous for his 1984 proof of the long-standing Bieberbach conjecture, now called de Branges' theorem. He was a plenary speakers at the 1986 International Congress of Mathematicians in Berkeley. In 1989. he was the first recipient of the Ostrowski Prize and in 1994 he was awarded the Leroy P. Steele Prize for seminal contribution to research. Kesten’s dissertation, "Symmetric random walks on groups", was supervised by M. Kac. After a year at Princeton and two years at the Hebrew University in Jerusalem, Kesten returned to Cornell for the rest of his career. 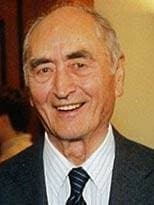 He was an invited speaker at the International Congress of Mathematicians in Nice (1970) and Warsaw (1983) and a plenary speaker in Beijing in 2002. He received the Brouwer Medal, the Leroy Steele Prize for Lifetime Achievement, and the George Pólya Prize. He is a fellow of the American Academy of Arts and Sciences, a member of the National Academy of Sciences and a correspondent member of the Royal Dutch Academy of Sciences. Sacks undergraduate studies at Cornell were interrupted by a tour in the US Army 1953-56. He returned to Cornell, graduated in 1958 in Electrical Engineering and became a graduate student in Mathematics. Sacks’ dissertation, "On Suborderings of Degrees of Recursive Insolvability", was supervised by J.B. Rosser. He taught at Cornell, M.I.T. and Harvard where he is Professor Emeritus. He supervised over 30 Ph.D.s and has close to five hundred academic descendants. The Sacks Prize is awarded annually by the Association for Symbolic Logic for the most outstanding doctoral dissertation in mathematical logic. He spoke at the 1970 International Congress of Mathematicians in Nice. Brown’s dissertation, "On the Admissibility of Invariant Estimators of Location Parameters", was supervised by J. Kiefer. Brown is the Miers Busch Professor and Professor of Statistics at the Wharton School of the University of Pennsylvania. He taught at Berkeley, Cornell and Rutgers before joining the University of Pennsylvania. He was an invited speaker at the 2002 International Congress of Mathematicians in Beijin and served as president of the Institute for Mathematical Statistics. He is a Fellow of the American Academy of Arts and Sciences and a member of the National Academy of Sciences. Hay’s dissertation, "Topics in Recursion Theory: 1. The Co-simple Isols 2. Creative Sets", was supervised by A. Nerode. She taught at Mount Holyoke before joining the University of Illinois at Chicago where she served as Department Head. 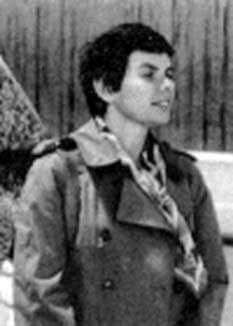 She was a founding member of the Association for Women in Mathematics. The AWM has established the Louise Hay Award for Contributions to Mathematics Education. Moore’s dissertation, "Topics in Asymptotic Estimation Using Order Statistics", was supervised by J. Kiefer. 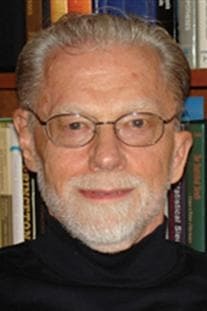 He is the author of Introduction to the Practice of Statistics (with George McCabe), An Introduction to the Basic Practice of Statistics, and Statistics: Concepts and Controversies. Since 2004, D.S. Moore is the Shanti S. Gupta Distinguished Professor of Statistics Emeritus at Purdue University. He served has President of the American Statistical Association. Soare’s dissertation, "Recursion Theory on Dedekind Cuts", was supervised by A. Nerode. He is the Paul Snowden Russell Distinguished Service Professor of Mathematics and Computer Science at The University of Chicago. He is the author of Recursively Enumerable Sets and Degrees: A Study of Computable Functions and Computably Generated Sets. He spoke at the International Congress of Mathematicians in Helsinki in 1978. Henry Turner Eddy, 1872, Assistant Professor 1869-73, U. Cincinnati, Rose Polytechnic, U. Minnesota. William Benjamin Fite, 1901, Instructor, Assistant Professor 1903-1911. Columbia. Francis Robert Sharpe, 1906, Instructor, Assistant Professor, Professor, Chair, 1906-38. Clyde Firman Craig, 1907, Instructor, Assistant Professor, 1907-1933. Ralph Palmer Agnew 1930, Instructor, Assistant Professor, Professor, Chair, 1931-68. Vivian Streeter Lawrence 1933, Assistant, Associate Professor 1933-1942. West Point. John Adam Fitz Randolph, 1935, Assistant, Associate Professor, 1935-44, U. Rochester. Daniel Burril Ray, 1953, Assistant Professor 1953-57. MIT. 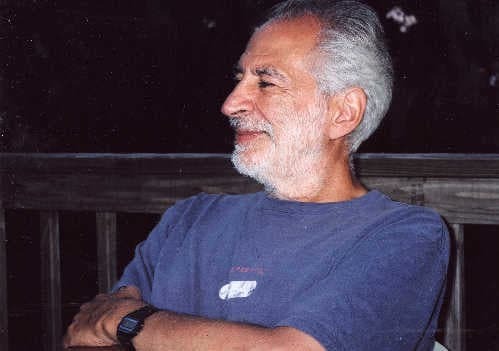 Jerome Sacks, 1956, Assistant Professor 1960-61. Director, National Institute of Statistical Sciences. Harry Kesten, 1958, Assistant, Associate, Full Professor 1961-2004. Lawrence David Brown, 1964, Associate Professor 1866-72, Professor 1978-94. The Wharton School, University of Pennsylvania. Marcelo Aguiar, 1997, Professor 2014-present. Only three Cornell undergraduates went on to earn a Cornell Ph.D. in Mathematics and later served on the Cornell Mathematics faculty with a rank of Assistant Professor or higher. They are W. Benjamin Fite, Vivian Streeter Lawrence and Gerald Sacks.